The staff at Memorial Medical Center-Livingston delivered 452 babies at Wilma Ogletree Women�s Center in 2013 � more than any other year in the hospital�s history. LIVINGSTON, January 30, 2014 - The sounds of newborn coos and cries amplified as Memorial Medical Center-Livingston experienced a record breaking baby boom in 2013. 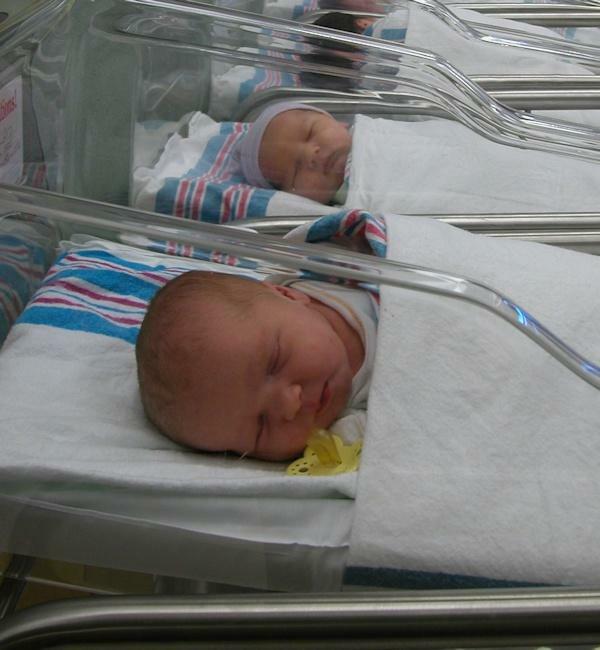 In all, 452 babies were delivered at Wilma Ogletree Women’s Center in 2013 – more than any other year in the hospital’s history, according to Memorial Health System of East Texas Director of Women's Services Ashley Martin. The last record was set in 2010 when the staff delivered 365 little boys and girls. With an average of 8 babies born each week, Martin said the staff began to see an upward trend starting in August. September was the first record breaking month with 54 deliveries. Dr. Adeola Atilade began her OBGYN practice at Memorial Clinics in January 2014, which the staff believes also will contribute to the steady increase of new birthdays celebrated at Memorial. The highly trained staff in the Women’s Center includes five nurses certified in inpatient obstetrics through the National Certification Corporation, Martin said. The NCC is a not for profit organization that provides a national credentialing program for nurses, physicians and other licensed health care personnel in the obstetric, gynecologic, and neonatal nursing specialties. The Wilma Ogletree Women’s Center was built in 2000 and recently underwent a cosmetic remodel. The Center is located on the second floor of Memorial Medical Center-Livingston. To help prepare patients for childbirth, Memorial Medical Center-Livingston provides free classes to anyone anticipating a new arrival. Visit memorialhealth.org and look at the Calendar of Events for more information about the time, date and location of the 4-part sessions. This class is generally taken during the sixth or seventh month of gestation and includes exercises in relaxation techniques, labor coping and support techniques. For more information, call 329-8249.